REUTERS/Mario AnzuoniWarren Buffett, CEO of Berkshire Hathaway. When each of his three kids turned 10 years old, Howard Buffett took them on a trip from Omaha to the East Coast. The middle child had his turn in 1940. He was a numbers-crazed boy named Warren. Dad brought him to New York City. Reflecting on his obsessions, Warren wanted to see three things: the Scott Stamp and Coin Company, the Lionel Train Company, and the New York Stock Exchange. The last stop helped set him on the course to becoming one of the most powerful people alive. After taking in the men in bright jackets shouting and scribbling on the trading floor, the Buffetts had lunch at the Exchange with At Mol, a Dutchman who was a member of the Stock Exchange. But the most impressive thing happened after they finished eating. It was mind-boggling for Buffett. While the rest of the country was still in the muck of the Great Depression, the New York Stock Exchange could employ somebody to hand-roll cigars — not exactly a necessary expense — to keep traders happy. Clearly, the Stock Exchange was a fountain of cash, one that Buffett would find a way to take part in. “A vision of his future was planted,” Schroeder writes. 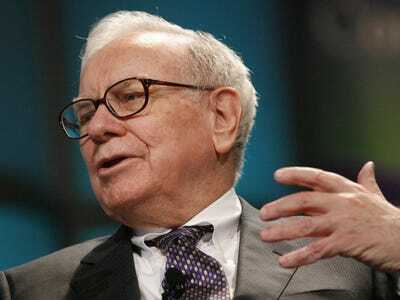 Buffett knew what he wanted to organise his life around: money. “It would make me independent,” Buffett said. If he had his own money — especially lots of it — he could set out on his own. So Buffett set upon the task of securing capital. By age 16 — a mere six years later — he had made the equivalent of $US53,000. One of the world’s largest fortunes was starting to grow, thanks to a memorable cigar.